This is an update for all companies and or individuals using paid online advertising channels such as Google Adwords and other PPC and CPM platforms. 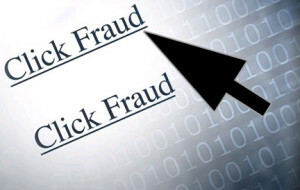 Click fraud is a well known issue that – until now – has been nearly impossible to detect and combat. Average fraudulent spend percentages are in the 42% range and we have documented them as high as 95%. Allweb Marketing is offering a new, advanced capability beginning November 1st that can Detect, Quantify, and then Eliminate click fraud across all your ad spend. Armed with this insight data, Allweb can help you get back wasted spend money. Allweb will be accepting only 107 companies into the initial program. If you would like to be considered and have current ad spend of at least $10k per month, fill out the contact form on this page or send me a personal email to: seo@allweb-marketing.com and put “CLICK FRAUD” in the subject.